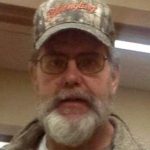 Ricky Speck, 54, of Cambridge Springs passed away November 2, 2018, at his residence. He was born on December 25, 1963, in Meadville, the son of the late Stanley Leo Speck and Anna Mae Blystone Speck. Ricky worked for over 35 years for IA Construction. He was an avid fisherman, who also enjoyed hunting and golfing. In addition to his parents Ricky was preceded in death by his brother, Bobby Speck. Survivors include daughter, Tiffany Ann Marie Speck Kucharski and her husband, David of Cambridge Springs; brother, Randy Speck of Cambridge Springs; two nieces and their children; and very special friends, Jim and Rem Taylor of Cambridge Springs.